Bollywood is made up of many couples who stay together for a brief time and then head for a separation. It is even more likely if both of them are celebrities as many factors come into play leading to a divorce. 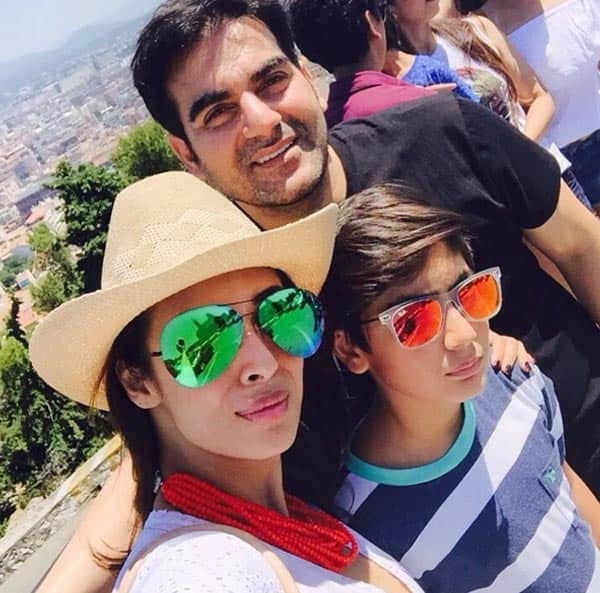 In those terms, one of the most longest standing jodi has been that of Bollywood actor Arbaaz Khan and his model wife Malaika Arora Khan.The two have been together for ages and even have a teenage son. But is seems that things are getting sour between the couple. It is really shocking to see that Arbaaz and Malaika might actually be heading for a split. Back in 2015, Malaika was seen in Jhalak Dikhla Jaa. Moreover, the duo were even hosting a show together titled as Power Couple. But the talk from the sets of the TV show suggest that the husband and wife are in less than friendly terms. A source stated that since the shoot for Power Couple began in December, Arbaaz and Malaika had asked for separate rooms and that they never talked when they were off camera. It is not surprising then that Malaika has stopped appearing on the show altogether. On top of that, there are also reports that Malaika has shifted with her son to an apartment in Khar, while Arbaaz has gone to Dubai for a solitary vacation. Although the actresses’s manager claims that there is nothing going on, the facts pile up strongly in favour of a separation.